The only apparent changes in this camera are the engraving, the lens and the shutter. 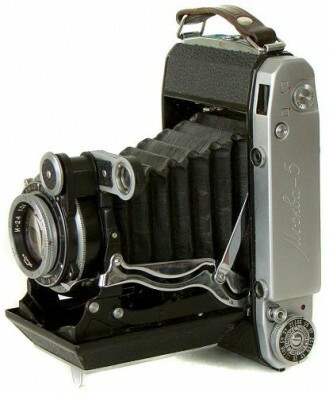 This camera was produced from 1956 to 1960. The case for this camera is made of brown plastic or leather marked Moscow 5. Interestingly enough some of these cameras have lenses that are not threaded for filters . Thanks to L.Šimkus for camera #5810260 donation. 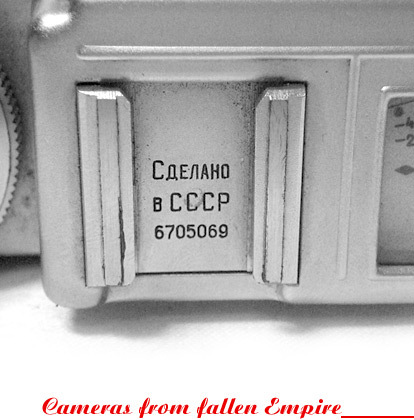 Sample of Moskva-5 preseries camera. 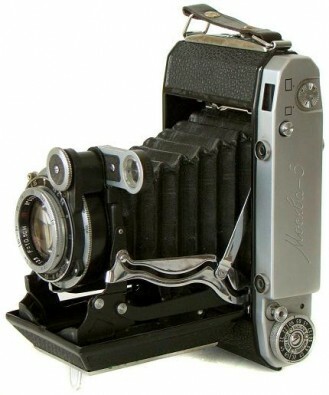 Very uncommon preseries version of the particular camera, or so called Moskva-5 "Square Logo". KMZ logotype on the top plate. Moment-24C shutter, Industar-24M 3.5/105m lens. Small viewfinder's window (13x8mm). 2 visible screws around the tripod thread. Appr. 250 units made in 1956. Sample of Moskva-5 (1st version). 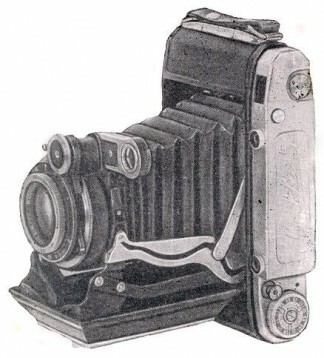 The 1st productional version of the particular camera. 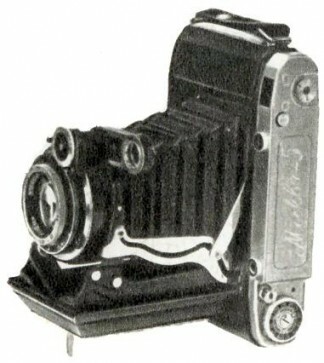 Camera identical to 1st version, but with new markings already. KMZ logotype now is moved to the rear plate. No more square rim on the top plate. Moment-24C shutter, Industar-24M 3.5/105m lens. Small viewfinder's window (13x8mm). 2 visible screws around the tripod thread (see picture on the left below). Appr. 10000 units made in 1956-1957. The most common version with big viewfinder's window (14x9mm) already. Round rangefinder's window now is bigger size either. New mechanics (larger) of the shutter realease inside the body. New design of frame switch knob on the top plate. Still Moment-24C shutter, Industar-24M 3.5/105m lens (some of them have date prefix in serial number). No more visible screws around the tripod thread (see picture on the right above). More than 200000 units made in 1957-1960. Camera identical to 3rd version, but with Moment-24 shutter now. Shutter itself has 4 digits serial number, instead of regular 7-digits serial number with date prefix. Very uncommon to find nowadays.